Join the Call for Participants today! Join participants from all disciplines to democratize the conversation about what we need and what we bring to achieve renewable transformation. We have extended the deadline to submit papers to April 13th. What makes the 2018 ASES National Solar Conference and Summit unique? Maximizing solar for energy resilience, preparedness, and recovery from accelerating climate emergencies. We welcome new participants and old friends to join us, as ASES plans to publish and widely share a Special Summit Report on our findings. Is the 2018 National Solar Conference and Summit structured the same as in the past? This Conference and Summit will offer 2.5 days of presentations, posters and dialog, in addition to 1.5 days of ASES pre- and post-conference events. The main event runs Monday morning August 6 through Wednesday morning August 8. ASES favorites, like the annual Awards and Annual Meeting are on the main agenda, as well as the Women in Solar lunch and a special, extended poster session. Posters will be archived, and there will be an informal peer review, with top-ranked authors invited to speak at a Conference panel session. The meeting will be on the beautiful and fully accessible University of Colorado (Boulder) campus. A list of nearby accommodations will be provided. Is the abstract submission process easier than in the past? Yes. We think it is. Abstracts will be shorter this year. In addition, prepare to tell us, briefly, how and why your presentation will add value to this Conference and Summit. We expect more competition for speaking slots than in the past, but we want to be sure the best contributions make the cut. This includes reaching out to new contributors, adding diversity to these important discussions. Please do not be dismayed if you are selected for a shorter presentation than in the past. This year’s agenda will include many short, sharp presentations (typically 6 minutes), followed by more discussion time. This innovation is in direct response to past attendee’s requests. How can I be recognized for my effort to prepare and attend? All participants have the option to submit a formal paper to our Conference Proceedings. These will be published in coordination with the International Solar Energy Society (ISES). ASES also plans to highlight many presentations, posters and papers in a Special Report, which will be the basis for continuing coverage in Solar Today magazine and other media releases. We fully intend for this Conference and Summit to make a difference, clarifying and amplifying a national conversation about achieving the renewable energy transformation. In addition, we remind all ASES members to nominate solar professionals, volunteers and students for our annual Awards program. The deadline is coming up soon. See the website for more details. Tell me more about the Broadening Access to Solar track? Since the early days of wind and solar development, the public has viewed these technologies as compatible with community self-reliance, environmental improvement, and economic opportunity for all. But in the time-critical rush to renewables, there are also risks. How do we make sure that the clean energy transformation is equitable and affordable, as well as swift? 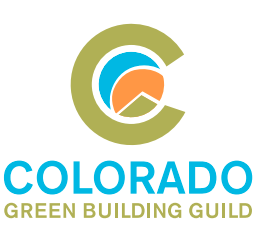 Here we consider challenges and guiding examples, such as community solar programs, truly sustainable urban design, innovative jobs training and professional development programs, policies of inclusion, etc. We want to hear about cost-reducing and highly replicable technologies and methods, new solar marketing and financing strategies, case studies from diverse community organizations, cities and utilities, and important policy innovations to help bring all hands together in achieving renewable energy goals. We extend a special welcome to presenters who are working from within under-represented communities. Tell me more about the Summit track, Orchestrating New Energy Systems, with greater renewables, energy efficiency, control technologies and storage. The transformation to providing energy services with more and more renewables and few, if any, fossil fuels, involves some mind-bending changes. Those include growing reliance on electricity for transportation and heating/cooling, especially via thermal storage systems, as well as utilizing better forecasting and controls. We will take a close look at how solar resources, plus smart building design, storage, energy efficiency and control technologies can work together to serve residential, commercial, industrial and transportation needs. What are the market and policy dimensions of this transition? We will also consider how energy efficiency contributes and how to balance home- and community-scale self-sufficiency with grid-integration, as we create new energy systems. Tell me more about the Summit track, Working toward energy resilience, preparedness and recovery from accelerating climate emergencies. Extreme weather events caused more than $300 billion last year in damage across the U.S. The devastation of the electric grid in Puerto Rico is only the most dramatic of these events, which also include tornados, ice and snow storms, extreme heat and cold, drought-induced fires, and more. In addition, non-climate natural disasters, primarily earthquakes, threaten public safety and grid services in vulnerable regions. Renewable energy resources—from simple solar lights and ovens to solar/battery systems and ultimately resilient building design—are valuable in disaster planning and recovery. But what are the strengths and limitations of solar-focused strategies? We will explore applicable climate science, solar and companion technologies, costs and strategies to maximize solar value while addressing these urgent community needs. What about the Research Pathways track? ASES will accept excellent proposals of all kinds, reflecting the state of renewables today, the advances coming near on our horizon, and academic or grassroots projects to carry us forward toward the renewable energy transition. There will be fewer slots available in some topic categories, but the ASES reviewers are waiting to hear from you before making their determination. Will there be guidelines for poster presenters? Yes. The poster session this year will be a hosted breakfast buffet, with plenty of time for attendees to visit with poster presenters. Each attendee will select favorite posters in 4 categories, and the authors of the most highly ranked posters will be invited to present at a Conference panel session. In addition, posters will be archived, with key words for searching and links to full papers or additional background material. In order to help poster presenters to connect effectively with the audience, we will be issuing guideline/suggestions on selecting a few strong graphics, composing strong bullet points and inviting further consideration. When will the review be completed? ASES intends to complete the review before Memorial Day, so that selected presenters can make economical travel plans for the August 5-8 event.